No kid should miss out on fun because of food allergy or intolerance. 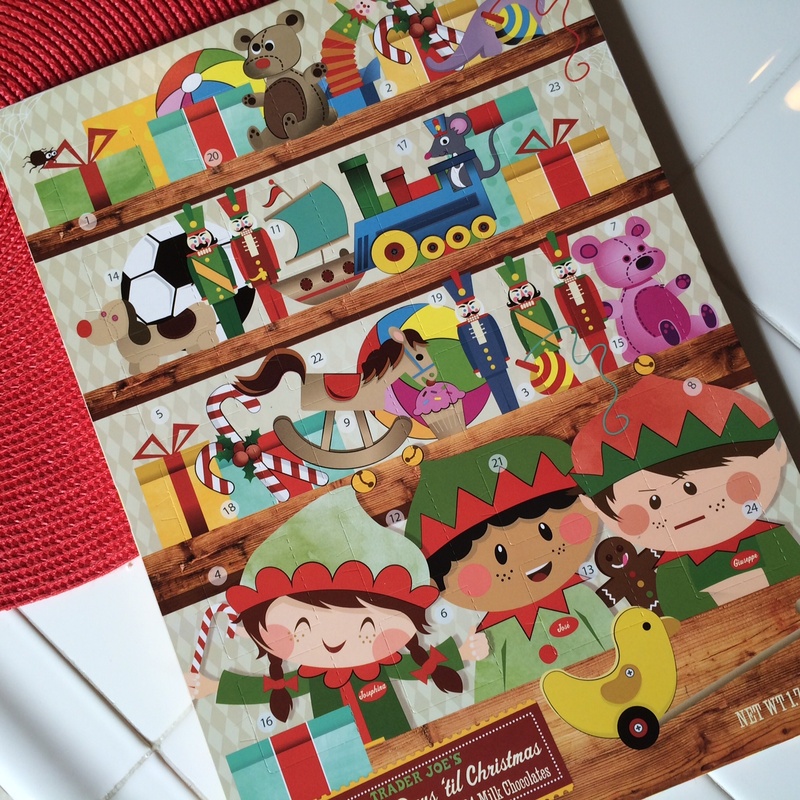 Though not recommended for children with severe allergies, this dairy-free advent calendar is quite easy and is a good solution for kids who don’t react if there’s a little cross-contamination. Run a knife under the seals on both ends of the advent calendar to open it. 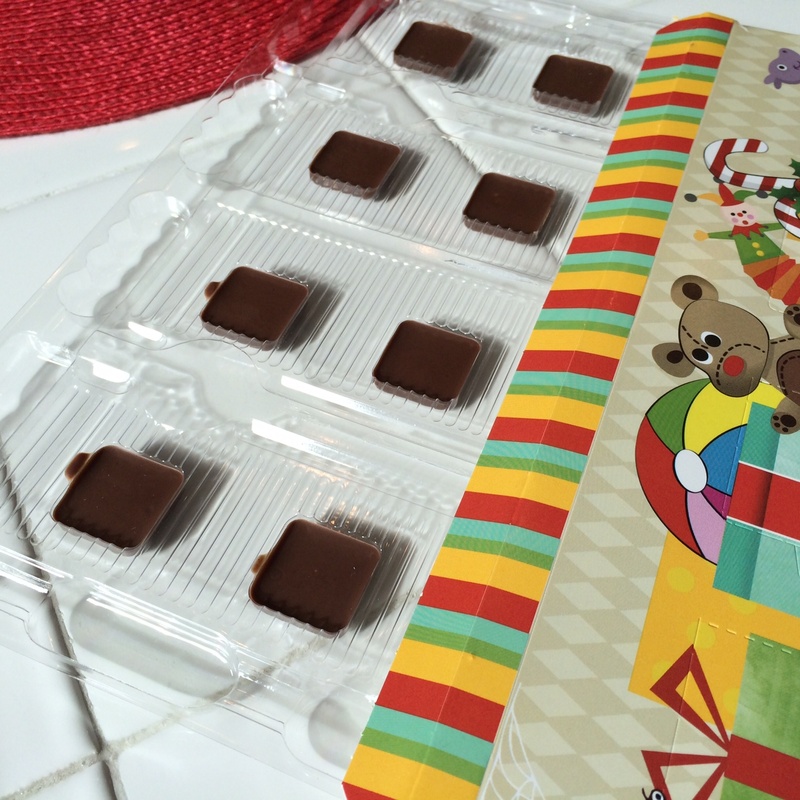 Run your hand carefully down the inside to free the candy tray from the box, as it will be glued in spots. Pop out the chocolates gently. If they don’t come out without damaging the designs, skip this step. Run the chocolate tray under hot water until completely clean. Dry. Microwave the chocolate chips on 50% for one minute. Stir. Continue microwaving at 50% in 30 second increments until smooth. Carefully spoon the melted chocolate into the molds. When finished, gently tap the entire tray against the counter until they are all level. Leave chocolates on counter for several hours or overnight until hardened. Re-insert the tray into the calendar, ensuring that it is not upside-down. Glue or tape the box closed. Give your safe advent calendar to your happy child! This entry was posted in Uncategorized and tagged advent calendar, allergen-free, Christmas, gluten-free, nut-free, vegan on November 17, 2013 by admin. Happy October! This twist on the classic caramel dip is a great alternative for kids who can’t have dairy or corn syrup. You can taste the coconut in this dip, so I only recommended for kids who like that flavor. Some yummy variations include adding about 1/4 cup of dairy-free chocolate chips or a 1/2 teaspoon of cinnamon. Cook sugar over medium-high heat in a heavy saucepan. When the sugar starts to melt (about 5 minutes), turn the heat down to low. The trick is to allow the sugar to turn a caramel color, without letting it get dark. Stir with a wooden spoon as needed if sugar is darkening quickly. When sugar is melted and is a caramel color, add the coconut milk. It may splatter, so back up if necessary. The sugar will solidify into a large solid candy. Keep over medium-low heat, stirring frequently until all the candy has melted (about 15 minutes). Remove from heat and stir in vanilla. Refrigerate until the caramel has thickened (about 1 hour). Enjoy! 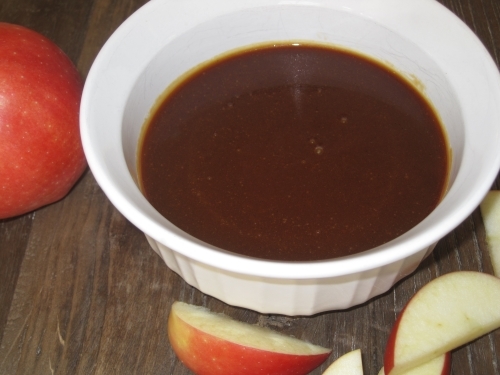 This entry was posted in Uncategorized and tagged caramel sauce, children, corn syrup-free, dairy-free, gluten-free, kids, recipe, soy-free, vegan on October 1, 2013 by admin.